5 reasons to drop everything and come to D.C. | Drake in D.C.
5 reasons to drop everything and come to D.C.
Maybe you’re afraid you won’t fit in. Maybe you’re afraid of what you’d be leaving behind. Maybe you just don’t like politics. 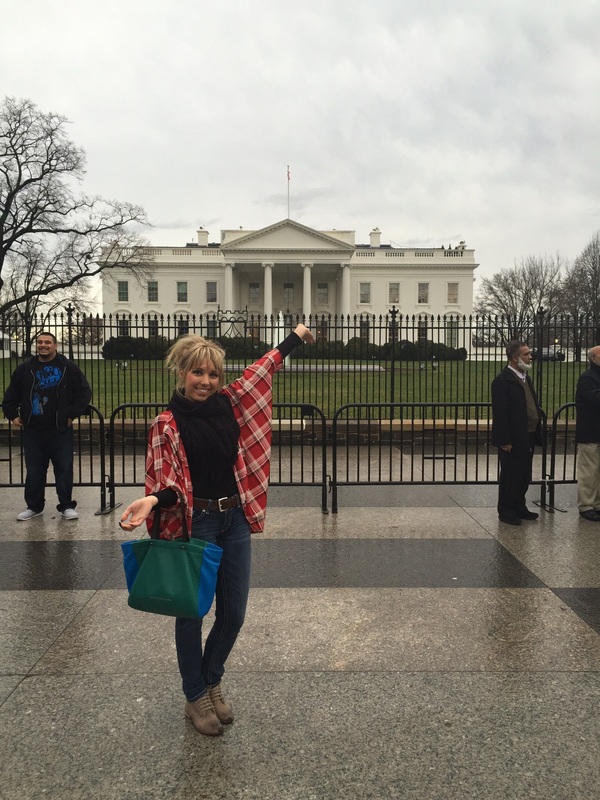 These are legitimate fears, but they should not stop you from taking a chance on Washington D.C. My two weeks in our nation’s capital has expanded my awareness as to just how much the city has to offer. 1. Visiting another nation is as simple as a cab ride to Georgetown. Okay. Maybe I’m exaggerating a little bit, but the culture of D.C. is composed of individuals coming from parts of the world rarely acknowledged. For one of our site visits we had the opportunity to visit the Austrian Public Radio D.C. location. Austria has reporters located here to get the scoop on American politics. The small European nation takes great interest in these stories as the U.S. has influence over countries across the globe. Speaking with American politicians is not easily accomplished for a network catering to an audience unable to vote. Visiting this radio group emphasized just how far people are willing to travel to be a part of American politics. 2. D.C. isn’t all politics. Many have an inaccurate vision of D.C. picturing a city full of politicians. This is simply not a realistic belief. While a significant portion of the population has made the big move to be a part of the government in some way, shape or form there are jobs for those not interested in politics. Thirty-eight percent of D.C. residents work for the federal government. This leaves a sizeable portion in other arenas. 3. 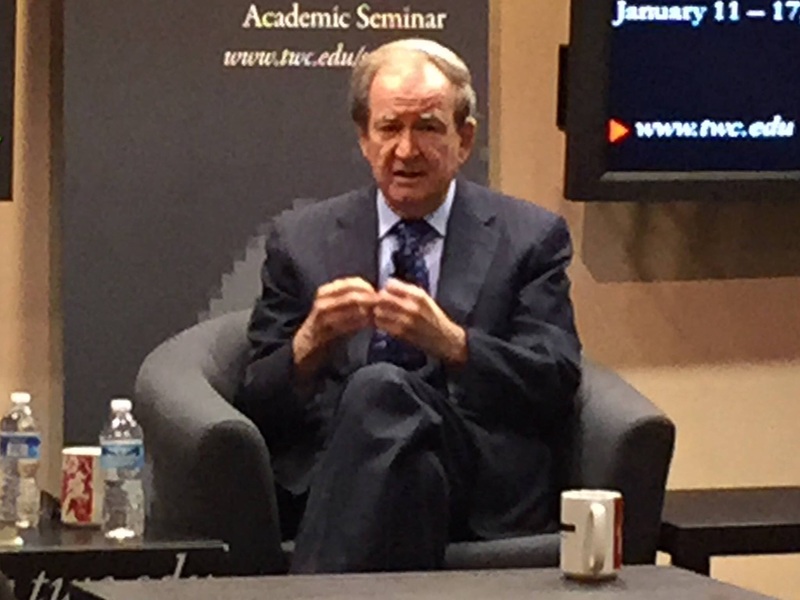 Where else are you going to listen to Pat Buchanan live? Pat Buchanan speaking at The Washington Center. Photo by Jill Van Wyke. greatest the nation has ever witnessed, complimenting his foreign policy, made me temporarily forget the more scandalous ending to the story. 4. Bored isn’t a thing here. monuments. Stroll through the Smithsonian Museums. Take the metro to Eastern Market. If you just need some retail therapy make sure to browse the Georgetown shops. These designer shops and small boutiques make any Iowa shopping center look like the juniors’ department. In a city like D.C. boredom is inexcusable. No matter where you go in D.C. you have the opportunity of being delayed by an ostentatious motorcade transporting Joe Biden. That was slightly bitter, but in all seriousness, there is no better political opportunity than the capital city. Housing all three federal branches of government, Washington D.C. is home, or at least temporary home to American politics’ most influential men and women. On top of the obvious political powerhouses are the workers whom implement the policy, the ultimate fate of legislation. With so much to offer its citizens, D.C. is home to a varied population with a range of careers and aspirations. Whatever your intentions for moving may be, I strongly recommend taking a serious look at our nation’s capital as your next adventure. I dare you not to fall in love. « Names on names on names: Who’s running in 2016?